Special Looking for love magic in all the wrong places. Horribly savaged in the Eibon Fortress: paralyzed arm (Dex -2, Con -1) and lost eye (-2 to ranged attacks). Savaged left leg (-1 Dex) in another foray into Eibon Fortress. Has a psychic link to Columbo, strengthened by Mern being the only being able to talk to Columbo when he was a laughing stock. Mern gave Ballard the most potent Steel-Curtain sword, which Ballard traded to Columbo for a sword +1. Blue robes, quarterstaff tied with a collar of continual light and a leather hood, wand of magic missiles, flaming lion signet ring (pit trap sorceress), dagger +1 (actually a spearhead), belt of daggers, flasks of oil, vials of holy water, spellbook (spare spellbook at Corsair's HQ). 1. Charm person, sleep, hold portal, protection from evil, magic missile, shield, detect magic, read magic, message, identify, featherfall, comprehend languages, enlarge, floating disc, light, read languages, ventriloquism, unseen servant. 2. Web, continual light, detect invisibility, ESP, invisibility, knock, levitate, locate object, magic mouth, mirror image, phantasmal force, ray of enfeeblement, wizard lock, web, detect evil, spider climb, change self. 3. Invisibility 10' radius, strange waters II. New top goal: get arm and leg and eye fixed. 1) Charm an ogre and teach it simple tricks, like bashing, smashing and doing laundry. 2) Defeat the dragon of the Black Peaks and dance on its head. 3) Discover powerful magical spells like running faster than the slowest person here and convince monster to eat other guy first. 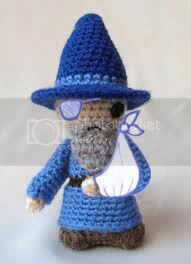 4) Keep a hireling alive and make him my pet cleric.